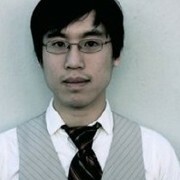 After graduating from Stanford University with a master’s degree in symbolic systems (a relative of cognitive sciences) focusing on video game interaction, Tony Tulathimutte worked as a user researcher for the casual games site ijji.com, later joining Bolt | Peters in 2007. In addition to working on user research projects for AAA, Hewlett-Packard, Harvard Business Review, ANSYS, Autodesk, and Princess Cruises, he was the lead researcher on the player experience study for Electronic Arts’ massive 2008 game, Spore. Tony is also a fiction writer, and in 2008 received an O. Henry Award for his short story, “Scenes from the Life of the Only Girl in Water Shield, Alaska.” He spends his evenings luxuriating in a glycerine bath with an aged Chianti and a copy of the collected Keats, tossing back a head of rich auburn hair and laughing, always laughing, at the caprice of the Fates. He has a website.